"The most frightening thing about Jacob Singer's nightmare is that he isn't dreaming." A psychological horror thriller about the terrible cost of war. Jacob Singer is a Vietnam War veteran suffering from psychological trauma due to his time in battle. After returning home to New York he struggles to keep himself together as he experiences increasingly disturbing hallucinations and flashbacks. His girlfriend, ex-wide, and best friend all try to help but find themselves at a loss as he drifts further from sanity. As things deteriorate he finds out his old army buddies seem to be in a similar state and, increasingly paranoid, starts to wonder if PTSD is the only thing affecting them. 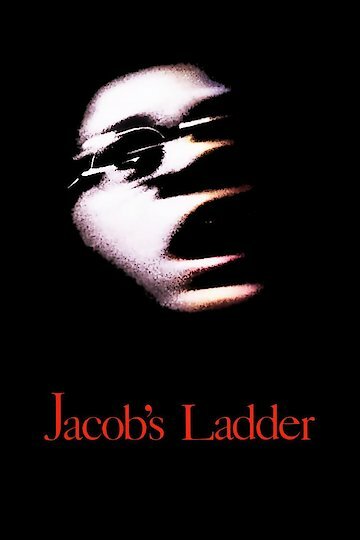 Jacob's Ladder is currently available to watch and stream, buy, rent on demand at Amazon, Vudu, Google Play, FandangoNow, iTunes, YouTube VOD online.